I have today learnt that the Cayman Islands Registry have an official online form for recognition of chefs as ships cooks providing they meet their criteria. This is good news for chefs working on Cayman flagged vessels who are qualified, who have professional chef experience on land prior to yachts and who have been working on yachts as chefs. NOTE: IT IS NOT A SHIPS COOK CERTIFICATE but is a confirmation of them accepting your qualifications on Cayman flagged vessels. See email received from them below.. 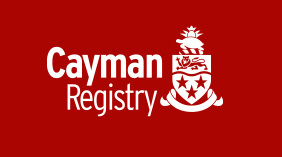 PLEASE READ THE FORM CAREFULLY BEFORE APPLYING OR CONTACT THE CAYMAN REGISTRY DIRECTLY FOR ADVICE. For prior accreditation and applying for this from Cayman Islands when you are working on a Cayman Flagged vessel go to the website and complete the online form. They then send an invoice and you pay the fee. Note this is approx a third of what it would cost to do the basic 2 and a half day marine cookery assessment. Note: you must have relevant chef quals prior to yachting and relevant chef expeirnece on yachts and the right stcw, eng1 and food hygiene as listed in the form. As made clear in our guidance note, this is an optional recognition statement, issued upon request to those seafarers that want a statement from us formally accepting that their qualifications and experience are equivalent to that required to obtain a Ship’s Cook Certificate.